30 percent of adults in the U.S. are not getting enough sleep. That’s according to data from the 2010 National Health Interview Survey, published in the April 27 issue of the Center for Disease Control’s Morbidity and Mortality Weekly Report. It’s a pretty sobering statistic, isn’t it? 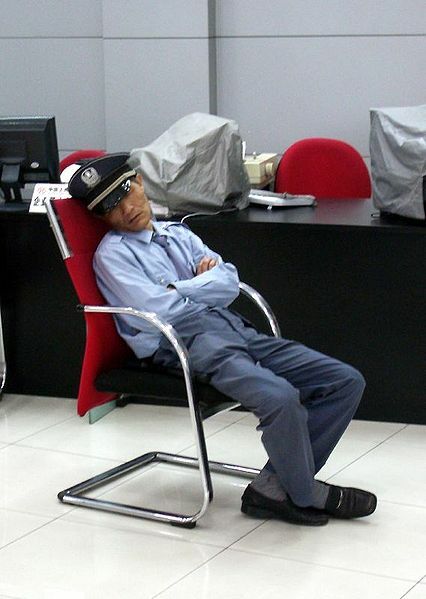 This percentage constitutes about 40.6 million workers, all of whom are sleeping six or fewer hours each day. Of these workers, 44 percent work night shifts and 28.8 percent work during the day. The most common professions in which a worker is likely to be sleep deprived are law enforcement and fire officials, health care workers, security personnel, retail associates in 24-hour stores, and transportation workers. These are all jobs that often require employees to work nights, sometimes consecutively, and sometimes even after a full shift during the day. Other people who are likely to be sleep deprived are stay-at-home parents, widows, divorcees, recently separated partners, and workers who hold multiple jobs. The most common age group that falls victim to sleep deprivation is adults between the ages of 30 and 44. While sleep deprivation can be caused by a number of sleep disorders, including sleep apnea and insomnia, the most common cause is one’s schedule. College students and young working professionals are also at risk, though the CDC reports only on adults within the demographic that constitutes the majority of workers in America. Regardless of your age or profession, sleep deprivation can have very real effects on your life. Drowsiness, impaired performance, and irritability are some of the immediate side effects of a single night of poor sleep. Sara Luckhaupt, MD, MPH of the National Institute for Occupational Safety and Health says, “If a person doesn’t get the recommended amount of sleep, they are at increased risk of injuries that could affect them or the general public if they are a commercial driver.” Drowsy drivers actually account for 20 percent of automobile accidents. Moreover, sleep deprivation — the ongoing lack of proper sleep — has serious repercussions. Chronic sleep deprivation increases your risk for obesity, depression, heart disease, diabetes, and high blood pressure. Not sleeping weakens the immune system and impairs the body’s ability to heal itself. It also leads to an overall decrease in cognitive function: the drowsiness, shakiness, and restlessness after one night’s lack of sleep becomes a constant condition. Sleep deprived people are also more depressed, lethargic, and disengaged. You can tell if you’re sleep deprived if you need an alarm clock to get up, hit the snooze button more than twice, or fall asleep in 10 minutes, according to Michael J. Breus, Ph.D. So how much sleep is enough sleep? Seven to nine hours of sleep each day, according to the National Sleep Foundation, is the ideal amount. Most workers, especially those who work nights, would probably consider seven to nine hours a sleep a luxury and an impossibility — but it shouldn’t be. For workers with demanding careers, getting enough sleep can be difficult, but employers have an obligation to ensure that their workers are trying to. Limits can be placed on how many nights a person can work in a row, or night shift schedules can be tweaked to take the worker’s needs into consideration. Employee wellness initiatives should also be enacted to educate workers about healthy sleep habits and the necessity of a good night’s sleep. Such programs would encourage the workers to remain consistent in the time they go to bed each day or night, create a relaxing bedroom environment, avoid reading or watching TV in bed, refrain from eating right before bed, and turning off electronic devices that could cause distractions, like cell phones. This post is written by Erica Moss, who is the community manager for the online Masters Degree in Nursing program at Georgetown University, offering one of the nation’s leading nurse midwife programs. She’s also an avid dog lover who enjoys photography and meeting new people.